The Site is the location of a defunct petroleum refinery, Raritan Refining Corp., dating back to the 1920s. When he refinery opened it occupied about 50 acres and produced 1.8 million barrels per year of gasoline, lubricating oil, and fuel oil. It operated into the 1950s until it was shut down and demolished. The property was subdivided/sold to various owners. The former refinery property is now part of a vast industrial park setting consisting of commercial and light industry. The nature of the release is two fold. There is a persistent, on-going subsurface release of #2 oil and other refined petroleum products originating from the former refinery. The oil is percolating underground into a concrete rainwater culvert which leads to Mill Brook, and thence to a confluence with the Raritan River, both of which are navigable waterways of the US. Drone-crawler imagery of the interior of the storm drain shows oil intruding at the sections' seams and through small cracks. 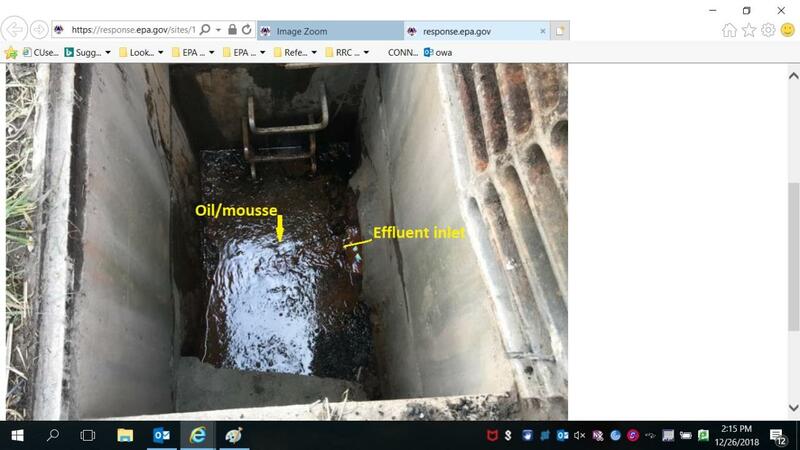 In addition to the on-going release of oil from the storm drain, subsurface oil is also moving, in a slightly different direction, through the aquifer and into a wetland adjacent to the Raritan River. A company that owns the property through which the culvert passes has been maintaining adsorbent boom to intercept the oil. The company had recently stopped this activity when it learned that the oil was originating from a location up-gradient of its property. When the company ceased maintaining the boom, sheen and product began to appear on the Mill Brook and subsequently on the Raritan River. 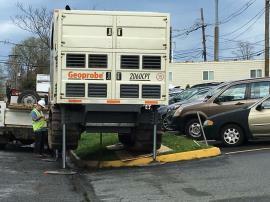 At that point the NJDEP interceded and was maintaining the boom. 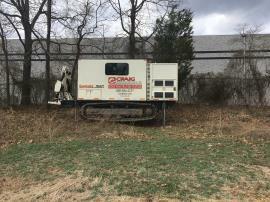 On a parallel track, the NJDEP has been working with a number of companies located on the former tank farm property and some GW monitoring wells have been installed. Ground water flow indicates a gradient generally from west to east, towards Mill Creek, and limited soil/GW sampling has delineated areas of light to heavy petroleum contamination. 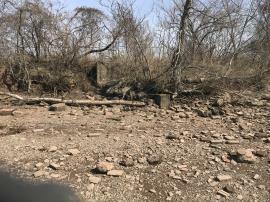 This Site is located in US Coast Guard jurisdiction, and EPA has obtained OSC authority for this Site from Coast Guard, Sector New York. The EPA mitigation strategy will be focused on both the on-going release from the storm drain and the subsurface release into the wetlands. Initial funding of $50,000 has been allocated to EPA to take over boom maintenance from the NJDEP. 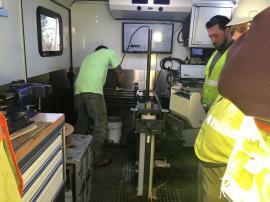 EPA has obtained additional funds to initiate a geophysical investigation using a Geoprobe and Laser Induced Fluoroscopy (or equivalent) to determine the direction of flow and amount of subsurface oil. Once this information is verified, an interceptor trench will be constructed to remediate the flow of oil into the wetlands. EPA began performing regular boom/pad change-outs as of 12/18/18. 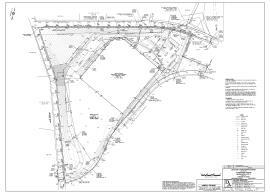 Dirty absorbent material is staged in a 20-yard roll-off located at the Site pending periodic T & D.
For additional information, visit the section.